The 25-year-old so resembles actor Peter Dinklage -- who has played the witty and wily nobleman since the hit series´ first season in 2010 -- that he gets regularly stopped by strangers desperate for a picture. "I don´t mind. A lot of my pictures have been taken, that´s why I have become very famous everywhere," he said. 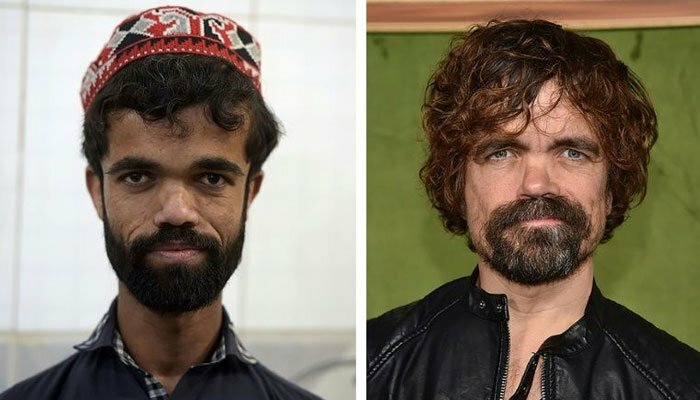 Not only are Khan and Dinklage´s faces strikingly similar, but they are also the same height at around 135 cms (4 ft 5in). "Wherever I go, someone says to me: ´Sir, who is this man with you on Facebook´, I say that he is my friend. ´He looks like you´. I tell them he is my brother. It´s not a bad thing," said Khan. Owner Malik Aslam Pervez described him as a hard worker -- and also a drawcard for the eatery. "When I saw him, I´m happy, I feel that I met with Lannister in real [life]," said Zain Hadri, 20. "Game of Thrones," tells the story of noble families vying for control of the Iron Throne, all the while keeping one eye on the "White Walkers" leading hordes of the undead toward an invasion from the North.